If you can picture in your mind an image from what is conceivably the best known series of Australian contemporary photography, Tracy Moffatt’s Something more (1989), it would contrast strongly with the images in the exhibition Perfect for every occasion, photography today. Moffatt’s staged, theatrical scenes, suggesting fragments from a tenuous narrative loaded with gender and identity politics, hint at the persistence of documentary styles and preference for fictional content characterising Australian photo-based practice of the 1990s, and offers a point from which to think ourselves into photography in the twenty-first century. Current compendia and critical perspectives on recent photography, such as the essays by Blair French and Kyla McFarlane in this catalogue, support the identification of certain features in contemporary photography. Firstly, that photography remains valid, having overcome the speculation of its redundancy in the face of new media and the potential for art to enter a post-photography phase. Secondly, the current breadth of photographic practice, in content as well as the enhancements made possible by technology for lens based equipment, post production processes and new types of printed output. Thirdly, as French and McFarlane note, certain general shifts from the 1990s within style, content and context are perceptible from a critical viewpoint. Perfect for every occasion presents recent work from eighteen Australian artists that indicates their interest in depicting and documenting private and public worlds in subjective ways, and the employment of photography to explore the unknown or challenge existing knowledge. It is impossible to define a single preoccupation in photography since the end of the 1990s. Some works in the exhibition infer the impossibility of communicating any certainties and overall there is noticeable a troubling of reality and the state of photography apparent in current practice. The features generally ascribed to photography during the 1990s indicated a prevalence of large scale, high resolution, colour images that verged on a pictorial documentary effect, and containing symbolic images or allegories. The work of international artists such as Andreas Gursky, Thomas Ruff, and Thomas Struth (known as comprising the Dusseldorf school), Thomas Demand, James Casebere and Jeff Wall is most often held up as representative of photography’s attributes in that decade. Photography of this period is identified with staged, fragmented or appropriated imagery which denounces its referents in favour of a subjectivised and artificial, almost literary content. Moffatt’s work has consistently played with ideas of artifice, performance and fantasy that also produce imagery with cinematic qualities. In contrast, Wolfgang Tillmans’ distinctive snap shot style also spurned a school of undistinguished images during the 1990s, whose humble aesthetic matched their gritty subject matter. Following the political therorising of the previous decades, which critiqued both the camera as a neutral tool of presentation while using its imagery to address historical and sociopolitical issues, Australian artists have developed their own models of practice. grounds for photographic practice today clearly stretch beyond art, and encompass the encroachments of cinema, photojournalism and advertising, which have, as Roland Barthes promised, delivered a collectivised vision of models of consumption, celebrity and spectacle. The perceptible slippages between the strategies and aesthetics of these forms of photography and art have had an identifiable impact on our historical and social identity. We crave knowledge of the world in visual, easily consumed forms, creating a demand for photojournalism, recent examples of which form the introduction for this exhibition. The current revival of interest in documentary photography, caused or evidenced by news media and publications such as Reuters, The State of the World, and popular records such as websites like YouTube, may also be a reaction to the sensationalising reportage of the media — a concern by the public to see significant world events ‘for themselves’ — as well as offering a forum for potential fame. Appreciating the sophistication of the contemporary viewer of which they are one, many artists have accepted the reality of the connotations attracted to their work from the maelstrom of popular and news media. As Roni Horn has observed: ‘If only through its use in mass media, photography has become increasingly vital to our knowledge of ourselves.’  In the complex legacy left by the modern and postmodern histories, artist’s interests are drawn not to replicate the visual language of these corporate or private media but are interested in the way photography circulates reflections of contemporary life. Both art and advertising adopt a contemporaneity from the osmotic absorption of the other, rather than art distinguishing itself by applying strategies from non-art fields as occurred in the conceptual photography of the 1960s and 1970s, which prioritized photography’s dual critical and documentary capabilities while celebrating the ability to recognise ephemera and the world beyond the gallery. While many of the artists in Perfect for every occasion appear to create photos that happily acknowledge contexts beyond the cultural arena, the reality of their work lies between the traditional legacy of photography (its transparency or relationship to psychological conditions and time and memory, and meaning for collective history and social knowledge) and the question of how to distinguish its role in current reality. Ways of looking at and being in the world significant for the conceptualisation and development of photo-based practice today differ from the objective aspirations of journalists seeking to illustrate a moment or an event by highlighting the tensions, sensations and personal observations that exhibit private or public relevance. Photographic models of conveying reality involve the establishment of trust, respect and often admiration for the sitter. A sensitive, eyewitness approach to practice is shared across generations of artists, from established practitioners documenting subjects across time, such as Sue Ford, to emerging artists like Rafaela Pandolfini, who records the private characters of chosen women. An established practitioner well versed in photography’s intrinsic power to frame and communicate, Rozalind Drummond documents aspects of the world that she finds fascinating, including a current preoccupation with youth, an area increasingly circumscribed by moral and ethical concerns. Drummond has been documenting people from certain youth subcultures and school children, all burgeoning adults, in their public environments. Combining these images of social and cultural realities creates relations between private individuals and inhabited space as the artist sees them. The photojournalist’s ability to convey the instant that signifies an event, the aesthetic of the ‘decisive moment’, is a device that continues to have meaning and hence to be employed to different ends in contemporary art. Unlike Drummond, Cherine Fahd’s artist-subject relationship and the content of her images pivot on avoiding intrusion into her subject’s self-consciousness. Shooting in situations where, while she is visible, her subjects may be oblivious to the camera, allows Fahd to achieve this anonymity. As an observer voyeuristically stalking exclusive encounters to share with her audience, Fahd desires to record innate humanity, described by Walter Benjamin as: ‘…another nature that speaks to the camera than to the eye: other in the sense that a space informed by human consciousness gives way to a space informed by the un-conscious.' The ambiguity of the portraits documented by Fahd outside London’s National Gallery, encourages viewers to respond to her photographs as both images and as signs of something else — those mysterious thoughts, feelings or dreams silently at work in her subjects. Amidst a language of the colour and form of everyday objects, Vanila Netto has conveyed people’s individuality of behaviour and interaction with those objects in her practice. Her images evoke a range of associations, from models of modernist design to forms of conceptual and advertising photography, yet convey something of a sense of wonder. Netto’s images register the unscripted and intimate interrelations of the objects, bodies and photographer that unfold in a formal studio situation to await a viewer. Most recently the artist has placed herself, veiled in black, in front of the lens in dynamic, performative postures. This series, For those about to rot (2006), intensifies Netto’s aesthetic of ambiguity, which is enhanced by the sensations of private pleasure and confidence conveyed by the hooded and seemingly self-conscious subject. The palpably rigorous planning required for the cinematic photography of the 1990s is contrasted today by an overt indeterminacy as to the nature of the creative intent at work in photograph, (unknown also may be the combination of analogue and digital cameras, post production work and printing that is no longer transparent). Photographs by Rebecca Ann Hobbs do not immediately announce their purpose or intent: did Hobbs happen to chance across her subjects acting strangely in the landscape? Both Hobbs and Netto employ, in contrasting and individual ways, colour, composition, focal length, arrested movement and studio or location sites, and delight in the possibility of impromptu performances in front of the camera. They, like other artists in Perfect for any occasion, place the viewer in an active role of speculation as to the artist’s intentions, to contest what the photograph conveys or enacts. Alex Kershaw’s latest body of work, Petalody (2005–06), represented by a select group of works, presents an assembly of quixotic and fragmented interior and exterior views suggesting the staged quality reminiscent of attributes of photography or methodologies of artists last decade. Taking over a year to shoot, Kershaw’s photos convey very private perspectives on his grandmother, her isolation in the home and the nature of her family relationships. A homage and an intimate portrait by Kershaw, Petalody celebrates its subjectivity. Kershaw’s grandmother’s preoccupation with Ikebana is an incessant metaphor for her state of mind and possibly a foil in her organisation of her most intimate interpersonal relations. The most ‘cinematic’ work included in Perfect for every occasion, Darren Sylvester’s images, I Want to Carve A Future, Devour Everything, Become Somebody (2006) and No Fun, No More (2006) are representative of an oeuvre employing scripts and staging, and bear close similarities to popular, consumer culture. Subjects, texts and descriptive titles assist in situating Sylvester’s pictorial representation at a pregnant moment, at times offering a type of contemporary morality tale. Unlike much current photography, the voice of the artist has an overt presence in Sylvester’s work conveying a state of mind — real or imagined — and fully exploiting the symbolic power of images. He carefully guides the viewer to a zone between explication and transparency, to the proposal of a narrative or feeling that remains open to imagination and interpretation. This strategy of subjective documentation, of activating realism while unsettling its certainty or meaning, is a central feature in recent photography and is put to work in different ways by the artists in Perfect for every occasion. Paul Knight seeks out subjects intended to psychologically trouble the viewer. Inhabited spaces have been a favourite for Knight who, in desiring to reveal uncompromising and intimate aspects of the world as it is, rather than as it may ideally be imagined, both documents and choreographs compositions. Locating the intangible charge residing within objects or empty environments, or stimulated by the features observed or tableau of his actors, Knight’s affects are accentuated by his grouping of images. Knight’s scenes intentionally evoke private forms of spectatorship such as the internet and the voyeuristic desire to exposure to less comforting realities. By contrast, Sarah Ryan’s recent lenticular photographs, inspired by the landscape around her home, require an active viewer to convey their potential. In Breeze (2006) or Premonition (2006), the physical movement of the viewer is required to experience in detail the deep stillness of the dense monochrome tones, and thereby by association the duration of seeing nature. A different tension is encountered in the viewing of Sun (2006), Ryan’s chose of media allowing the romantic but deadly rays to be viewed at length. In these images, Ryan reaffirms nature, as well as the personal way we experience time and place. While photography was deconstructed during the 1980s and 1990s to identify ideologies and politics, its conventions and histories remain valid. Ryan’s photographs can be combined with postmodern concepts or strategies such as the denial of a fixed point of reference and, by analogy, a singular centered subject, or offer mystical and metaphorical, as well as popular and conceptual references. Mark Kimber has enjoyed calling on the nostalgic and memorial character of photography in his Fictive Landscapes (2006). These digitally manipulated collages of images selected from disparate sources and types of photography evoke the haptic power of memory and the forms of personal and public images that hold this power. However, while these landscapes initially suggest they may be tools for conjuring the past, Kimber’s conjoining of distinct times and places in images, and the dispersed focus, deliberately limits the scope of the medium to represent nature, challenging the leaf of faith required by the spectator to believe these panoramas. Destroying the veracity of a ‘frozen moment’ in photography, Kimber’s Fictive Landscapes signify the will of the viewer to believe in imagined parallel worlds. A number of works in this exhibition are reminiscent of earlier photographs and art history, Fahd’s balcony scenes suggest French impressionist painting or the head in Paul Knight’s The penetrator and the immigrant (2007) is redolent of Duchamp. However, artists such as Lynne Roberts-Goodwin are interested in the proposition of shedding traditions, seeking new challenges for photography and for her viewers in their relations to images. Pointing her camera at animals, landscapes or people that are outside our everyday experience, Roberts-Goodwin is drawn to subjects that fascinate for their strength of character or other reasons, and which are generally depicted devoid of any contextual action or incident. In recent years she has been preoccupied with areas of the Arab world (Oman, Yeman, Saudi Arabia, Iran, Iraq and Jordan), taking photographs while mindful of the traditional clichéd representations of these locations and cultures and their depiction in contemporary news media. Her portraits of the falconers, Al Hammadi Desert Saqar #1 and Al Hammadi Desert Saqar #2 (2006), and the floral fields of Last days… call it yellow #13–16 (2006) (taken just prior to international hostilities breaking out in Beirut) carefully avoid orientalist or racial stereotypes of the Middle East, or simplistic news stories. Robert-Goodwin’s images contest the easy consumption of news photographs in her search for ‘what we don’t know’ in this mediated world. Working with photography as a means to think through experience, Debra Philips’ photographic practice develops from a long standing interest in the tangibility of history, the ability of the past to be made real through objects, archives and photography, and for art to connect the personal with public narratives or history. These concerns are apparent in the images she has carefully selected as a constellation of photographs for this exhibition. The strategy of presenting images according to formal and conceptual grounds raises the legacy of the rational organisation of images that came into currency in the 1960s and 70s. Philips’ tight selection of images relates to certain long standing interests: France, particularly the northern landscapes of WWI battlefields; and a more ‘personal touchstone’ for her practice — pastel drawings made by Philips’ great-grandmother. By working with groups of images that cross time and subject matter, Philips idiosyncratically yet strategically employs the conjunction of multiple photographs to ‘destroy’ the notion of the singular and self contained art object. Philips’ form and content allow an interweaving or accumulation of open-ended political, economic, personal and aesthetic meanings. While Philips combines different types of images, from street to studio photography, to use photography ‘as a means of ‘walking’ through the world’, Gary Carsley has established a working methodology that both technologically and aesthetically intrudes on the photograph and is a political intervention into photography’s link with the real; suggesting the transference of culture by means of appropriating conventions of photo-based image making. Carsley’s scenes show details of public gardens or industrial sites, carefully researched and selected urban landscapes that were historically designed to reconstruct views and locations from distant homelands. The information of the photograph (the analogue or digital data) has been overwritten by a palette of life-sized wood grain tones, the patterns taken from self-adhesive laminate and printed with a photographic process as a unique monoprint. So detailed is simulation in images such as D. 37 Kurnell (Botany Bay National Park) (2005) that the image could pass as a photograph of instarsia (inlaid wood). Carsley’s self-titled ‘Draguerreotypes’ resist ideas of the original and copy and break the indexical relationship of image to its source in order to emphasise the ‘otherness’ of the reproduction. In a project that extends Bernd and Hilla Bechers’ extensive documentation of the structures of modern industry, Carsley references gay subculture performance to visually register the artificiality of these landscapes, and the associated interference in social and cultural identities. Geoff Kleem is an artist well versed in the deconstruction of the photographic image, the contestation of the ‘why’ and ‘what’ of representation initiated by critical theory during the 1980s. Thinking through the multiple ways that photographs relate and contribute to dialogues surrounding images and ideas today, Kleem works across different media, including photographs and objects. Previously Kleem created objects in which photographs were attached to furniture or indoor structures. These works gained a sense of absurdity in a gallery situation, being neither one thing nor the other, an effect that contrasts Kleem’s latest large-scale billboards displayed in Heide’s grounds. 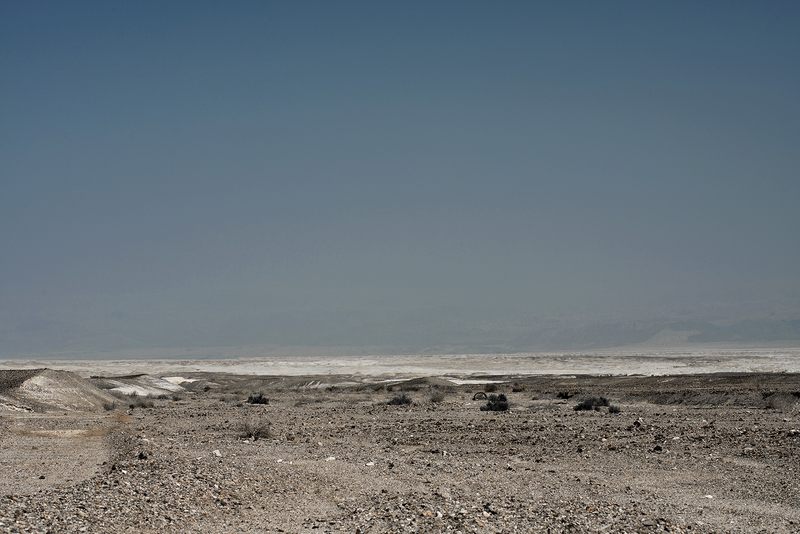 In both Lost and found and Untitled (2007), the seductive photographic panorama of the lush landscape is interrupted by blank spaces. In the Heide landscape, Kleem’s images raise a myriad of meanings: his content is uncertain, despite containing visible characteristics of nature and travel photography; he raises the relationship of art to advertising and the status of photographs as physical objects (his billboards becoming a screen for the viewer’s mental projection of aesthetic and cultural references, and he confuses the roles of private and public spectatorship. The recent expansion of photography in all aspects of life across the decade, have lead not only to the final acceptance of photography as a recognised art medium but also critical predictions of its impending fatigue. If we look at Perfect for every occasion for signs of photography’s worthiness, perhaps the medium’s very subjectivity and redundancy, its inability to offer the illusion of a complete picture or to be perfect for every occasion is its redeeming feature. Simon Terrill would no more propose that his images of crowd scenes, which follow an event across time, offer a complete symbolic microcosm than the viewer can visualise the action continuing beyond the edges of his prints. It is the inexplicable and unpredictable human variations in behaviour that draw Terrill’s interest. Neither will Andrew Best’s Booey (2006) be convincing in conveying a corporate struggle but in its very failure Best’s images create intentional connections with the B grade high jinks of television and cinema and the viewer’s existing experience. The technological changes that are being blamed for photography’s obsolescence might also offer some solution to its troubled existence. Replacing the camera lens with standard office scanner equipment, Chantal Faust pushes this everyday technology until it becomes weary, struggling to cope with her recording of objects and bodies. Looks like a duck… (2007) is comprised of pictorial images, and the evidence of the residues and traces of the flattening and contorting processes of the scanner. Technology is inadequate for Faust’s demands, in compressing three dimensions into two and time into a single moment, and as she notes, disobeying the rules of aperture, depth of field and perspective. It does, however, allow her to concoct the photo-based images that are her fascination. Another artist who interrogates the potential of visual information is Patrick Pound, a photographer and compulsive collector of popular and newsprint images. Pound’s practice has consistently exploited notions and operations of archives, and utilises base forms of classifying methodologies as rationales for bringing images together. Pound’s new work, Soft real estate model (2006), is an open ended series of graphic and photographic images seen second-hand, re-photographed from real estate pages of newspapers in a mobile phone. Mirroring art, documentary history and biography, Soft real estate model gives a humorous twist to the aesthetic strategies of 1960s and 1970s conceptual art, and suggests the evacuation or end of knowledge in place of the presumed enlightenment propounded by the notion of a model of the world. In contrast to the philosophy of many of the artists discussed previously, Pound and Justene Williams share a fascination with photo imagery that is coupled with a questioning of the ability of photography now, in its ubiquity and multitudinousness, to contribute in any way to our understanding of the world, This conundrum of seeking meaning in a medium that has become devalued, the most perverse and existentialist crisis for a photographer, lead Williams to an impasse, which is flagged in her three videos Red foto, Green foto, Blue foto (2005). In them Williams cannibalises her previous photographs, abstractions of the urban environment, to create costumes and a stage on which she literally performs the current excess of photography (as seen in Green foto and Blue foto), and the hyper-robotic state of the photographer and photography in general (Red foto). In her propensity for dada-esque actions, and her interest in the absurd and performative fusions of art and life promoted by modern artists such as Bauhaus teacher Oskar Schlemmer, Williams transforms her images and the phenomenon of their surfeit into endlessly looping dances, a surreal symbiosis of tragedy and comedy. Like Antonio Paraggi in Italo Calvino’s ‘The adventures of a photographer’, Pound and Williams are troubled by the potential for photography to have reached its end point, which for Paraggi eventuated as the futile photographing of all existing photographs. Risking death or redundancy, yet retaining currency as a means through which to consider the world, what then is the future of digital photography, with its capacity for proliferation and manipulation, its ability to be perfect for any occasion? In contrast to expectations of a photography that offers up the goods, perfectly formed for easy consumption, we find today pictures that reveal technologies in flux, with typologies and meanings that may never be complete or resolved. The camera lens is a valuable reminder that perception is at best a partial experience. The realities of photography remain complex, as artists continue to seek something more from and with the photographic medium. ‘I like constructing narratives in the studio with model-actors and props and painted backdrops. THE 1960s Disney film palette has inspired me from the beginning. I have always like "artifice". I adore the "fake"’. Tracey Moffatt in Susan Bright, Art Photography Now, Thames & Hudson, 2005, p. 92. Roland Barthes, Mythologies, Annette Lavers (trans. ), Jonathan Cape, London, 1972. Reuters, The State of the World, Thames & Hudson, London, 2006. Roni Horn in Pressplay, Contemporary artists in conversation, Phaidon Press Ltd., London, p. 341. 5] ‘…to photograph people is to violate them, by seeing them as they never see themselves, by having knowledge of them they can never have; it turns people into objects that can be symbolically possessed.’ Susan Sontag, On Photography, 1977, Penguin, London, 1984, p. 14. Work by Sam Bosen, John Carty, Derek O’Connor, Lyndal Walker, Justene Williams and Stephen Zagala exhibited in THEM, Canberra Contemporary Art Space, 30 June–12 August 2006. 7] John Carty, from email correspondence with the author, 19 January 2007. Walter Benjamin, ‘A Small History of Photography’ (1931) in One Way Street and Other Writings, Verso, London, 1979, p. 243. Debra Philips, email to the writer, 21 January 2007. Carsley defines his images as Draguerreotypes, a play on the early photographic process, daguerreotype invented by Louis-Jacques-Mandé Daguerre in 1837, and theorises them with terms taken from non-mainstream culture, such as gay performance to explain the way the subject of his photograph depicts a parkscape that itself was designed to recreate an existing location and his post production process reworks photography; ‘The Draguerrotypes karaoke the photograph.’ Email to the author 29 January 2007. Recently art critic Sebastian Smee noted how proliferation will lead to saturation and an image fatigue for art photography. Smee’s answer to photography regaining its status as art was its reconnection with reality — the trace of the past being made visible in the physical presence of the photograph. Sebastian Smee, ‘Image Fatigue’, The Weekend Australian, 29–30 April 2006, pp. R18–19. ‘L’Aventure d’un photographe’ in Italo Calvino, Aventures [Adventures]’, Le Seuil, Paris, 1990. Calvino’s Adventures (I Racconti) have been published in several different books in English. For example, ‘The Adventure of a Photographer’ was published as part of Calvino’s novel Difficult Loves: Harcourt Brace, New York, 1984, pp. 220–235.